Make your Literacy Centres fun! 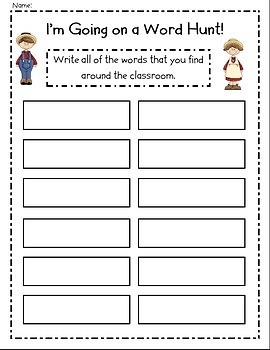 Students will enjoy "reading" (using a pointer) and "recording" (using the worksheets included) all of the words for a Farm Theme. 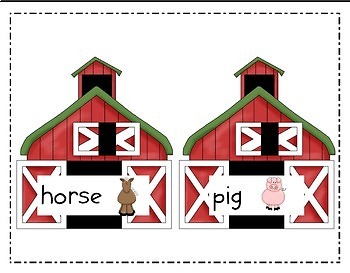 In this package you will find 18 'barn' words (such as horse, pig, etc.) for you to place around your classroom. Students will then go on a "Word Hunt" and read and record the words they find. 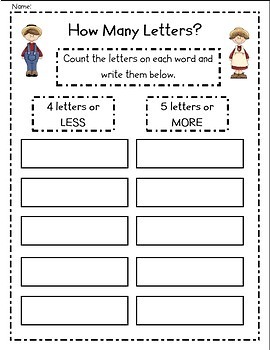 I have included several worksheets and follow up activities. 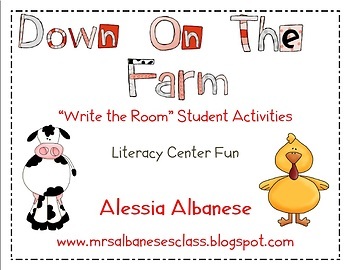 This package goes very well with my Down on the Farm Literacy and Math Activities Unit. Happy teaching! You can also find this activity in my Write the Room Literacy Centers - The Complete Set -> you get ALL of my write the room activities for less than half price!